We’ve been using several smartwatches in the past and have reviewed quite a few smart bands and smartwatches in the past. Noise recently launched their ColorFit Pro and the smartwatch comes with a very unique design at a budget. In the recent past, we’ve seen a huge spike in the number of users of smart bands for one main reason, everyone likes to share their fitness activities and the progress made. 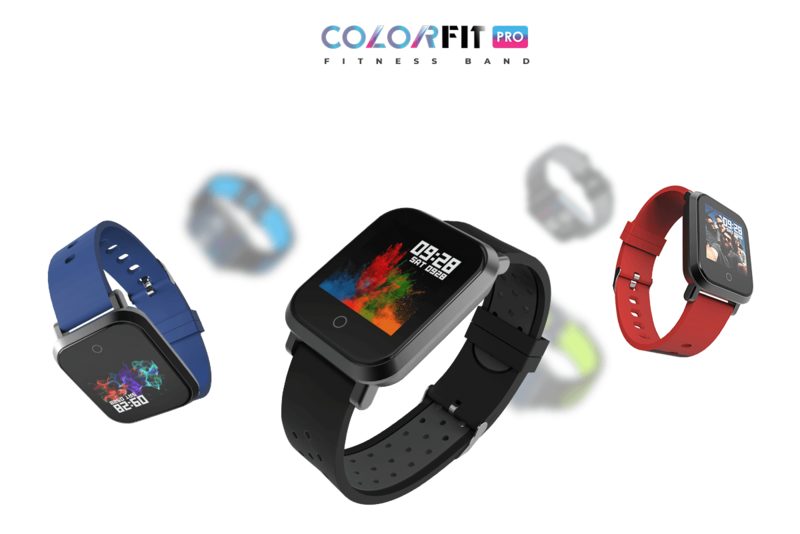 If you are looking for a smartwatch on a budget then the Noise ColorFit Pro might be one of the best choices, the smartwatch is made available for a price of Rs 2,999 and comes with a decent display along with several features for tracking. The device also comes with SpO2 monitoring for measuring the oxygen levels in blood and also has a blood pressure monitor. We review the device and test it across activities to understand if it is a good gym partner. Noise has been famous for making value for money products in the electronics and accessory industry. Their devices include action cameras, earphones, wireless charger, and cases. 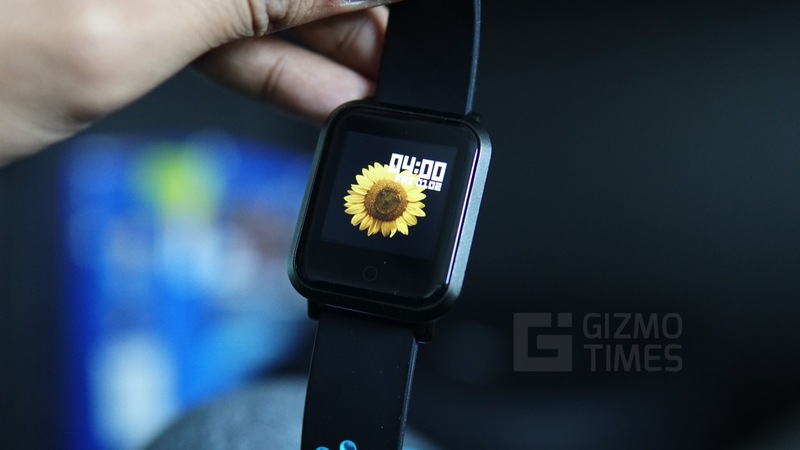 There is also a wide catalog of stylish smartwatches that they’ve been producing. The Noise ColorFit Pro comes packaging includes the band itself, a charging clip and the user manuals along with the warranty booklet. The Noise ColorFit Pro comes with a 1.2-inch display and the body is mostly made up of zinc magnesium alloy with a satin black finish. While the display itself looks decent, it sadly doesn’t support touch operating and the only way to navigate through the watch is using the capacitive circular button on the watch. Luckily the Noise ColorFit Pro comes with Gorilla Glass 5 protection and has a 2.5D glass. The brand claims the display to be scratch proof given the protection, but in our limited use, we still got a few scratches in regular use. 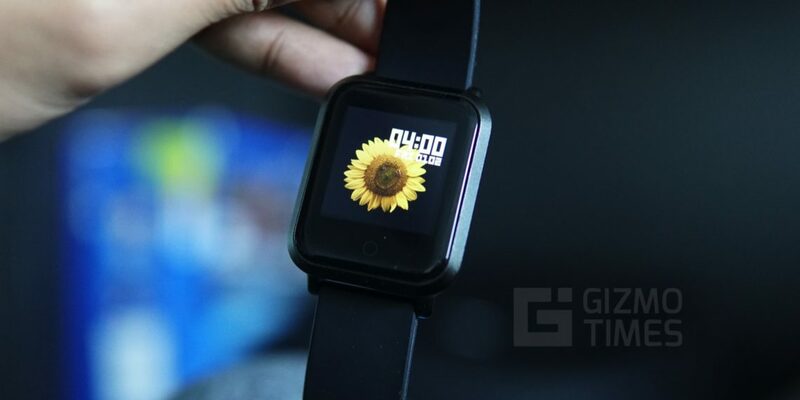 The device looks very appealing form a distance and appears like an Apple Watch to an untrained eye. The rear of the Noise ColorFit Pro has the heart rate sensor and the electrodes for charging it via the charging dock. The charger that comes in the box holds the watch in position while charging it and the clamp reinforces the magnetic connection between the charger’s pins and conducting dots on the back of the fitness band. Also, there is no button on the side and only has the capacitive button for device control and navigation. The Noise ColorFit Pro uses rubber straps that accept bends, stretching and twisting without giving up. These straps can also be replaced with any standard watch straps that suit the width. The design of the Noise ColorFit Pro appears to be inspired by the Apple Watch and upgrading to a better strap can completely revamp the look and feel of the watch. The Noise ColorFit Pro comes with an IP68 rating and can be worn in rain or in the shower, it is rated for up to 3ATM pressure or up to 30 meters of depth making the watch usable for swimming, there is also a swimming mode for tracking the activity. 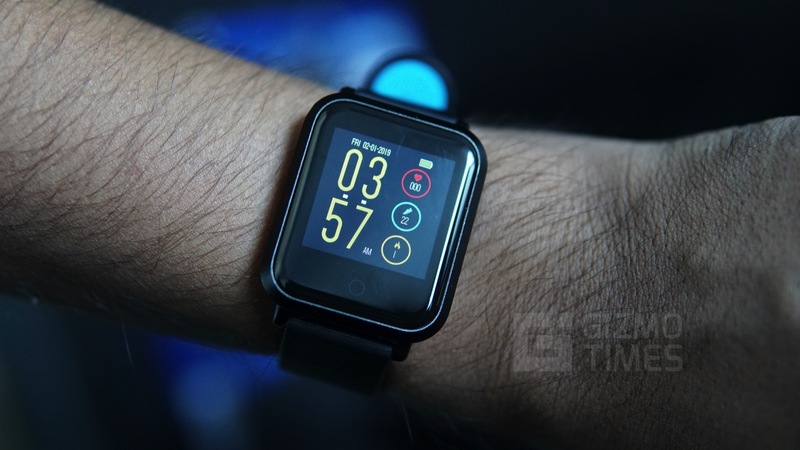 The watch weights very less and doesn’t feel hefty at any point, while the watch is considerably lighter than most smartwatches, it is still significantly heavier than any smart band in the market. The overall build quality of the Noise ColorFit Pro is very good and the design is about average. The major plus point is the easy swapping of straps allowing the user to customize it to a huge extent. The Noise ColorFit Pro comes with a 240 x 240 LCD display and measures 1.22-inch diagonally. 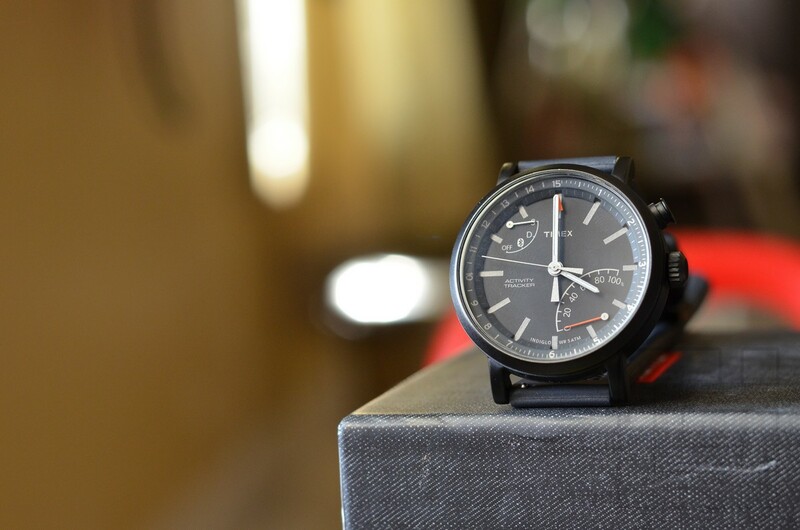 The colors are pretty good in the display and have good contrast levels, there are a few good quality watches faces included and you can select them and enjoy looking at the watch each time you bring it up. 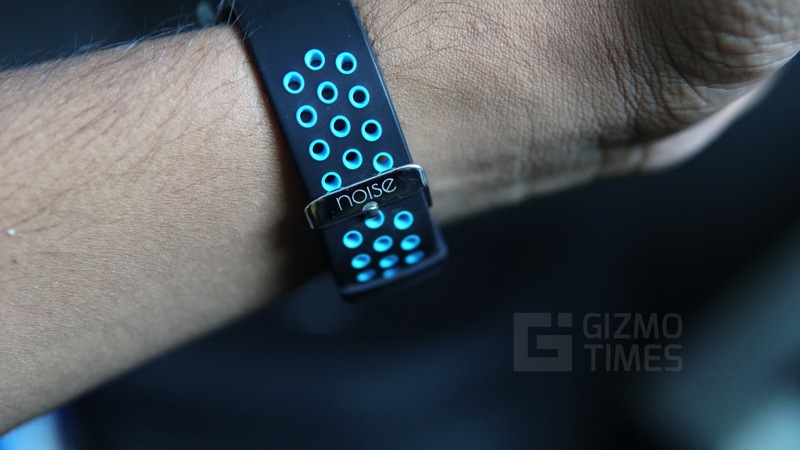 The Noise ColorFit Pro was designed primarily for fitness tracking and has some smartwatch features. 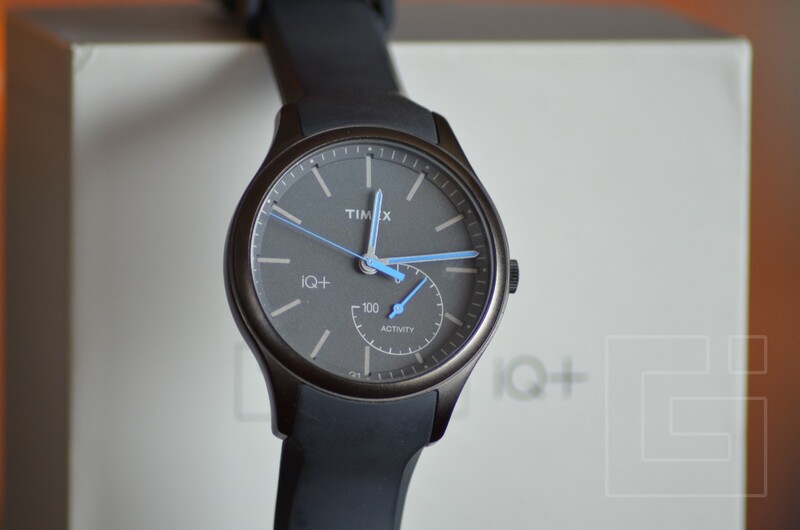 It cannot be completely justified calling it a smartwatch as it does miss out on a few important features. 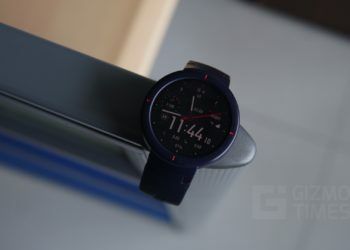 The watch can read basic notifications and control the music playback of the phone, it also offers flexibility to set any picture as the watch face with very few restrictions. 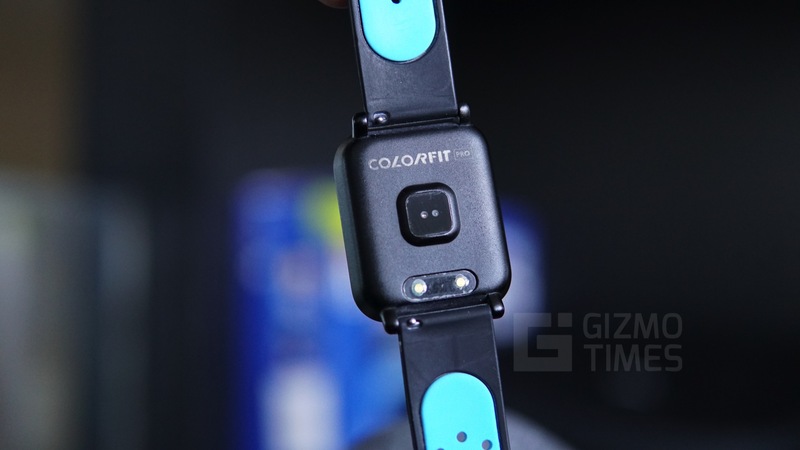 The Noise ColorFit Pro includes tracking of daily steps and fitness activities. 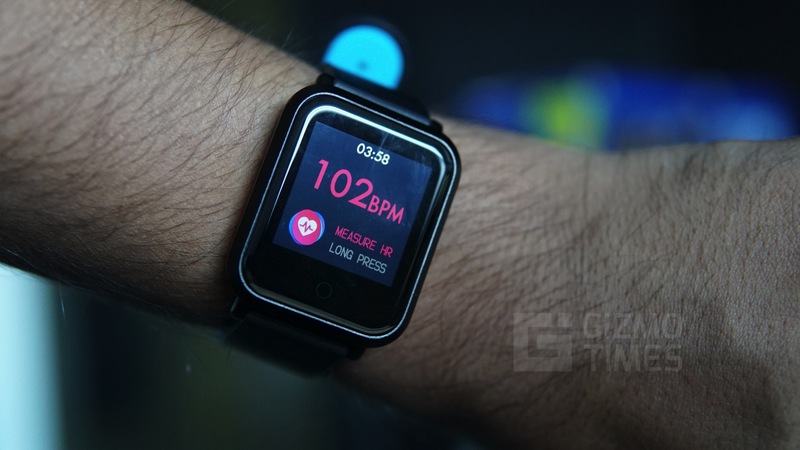 It can also track the heart rate continuously and measures blood pressure and oxygen percentage in the blood. The steps tracking works pretty accurately and the device also identifies smaller naps during the day along with the deep sleep tracking during the nights. The heart rate sensor works about average and measures with a decent amount of accuracy when still while moving, the heart rate results are very inaccurate. The feature to measure the blood pressure is a major one and while the exact values have not been tested by us, it did show a higher result when we felt stressed out. While it can be used for casual measurement, it is not recommended to take the reading for certainty, the results are mostly skewed when strapped on the moving arm. There is a rise to wake feature on the watch that automatically shows the watch face when you raise your arm. The watch supports tracking of various physical activities such as running, walking, cycling, skipping, swimming, badminton, soccer, and others. There is no GPS in the watch and cannot track the specific route being used for the fitness activity or record the location where it happened. The User interface is one of the most disappointing things about the watch, the fonts used in the watch are too thin and the utilization of the screen is not optimum. The warning messages used in the watch look very bad, we almost instantly felt that they are probably just translated from Chinese to English and implemented in the watch. The watch also displays notifications, we recommend that you only select the apps that you frequently use to display the notifications. The only way of navigating through the watch is using the capacitive button and the lack of touch can be very difficult to perceive. The data collected by the Noise ColorFit Pro can be seen in the “Da Fit” application. The app allows you to see important information about the device and the statistics of steps, heart rate, BP, SpO2 and other data. The app has a lot of information being displayed here and you can interact with the elements to see the data being recorded. The application also allows you to customize the watch face, view the device stats, set alarms and other things. You can also select the apps that push notification to the device using this application. The app can also open the camera mode to control the camera form the Noise ColorFit Pro wirelessly. The battery on the Noise ColorFit Pro is of 150mAh capacity and has given us about 8 – 9battery life of 10 days with heart rate monitoring set to automatic. This was very surprising as the company only claims about 3 days of battery life on the spec sheet. Recharging the device is quick as well and takes about 2 hours for a full charge. The charging cradle can be connected to a 5W charger or to a computer for charging it up. The Noise ColorFit Pro is a great buy at the price and comes with a durable build and replicable straps. The inclusion of Gorilla Glass 5 came as a surprise to us, also, the availability of Swimming mode is a huge plus for the device. The battery life on the device pleased us the most especially given the high brightness that we used it continuously. However, the lack of touch controls was a major let down, the poor UI navigation only adds to it. The icons and fonts don’t look good which further diminishes the user experience.